Andrew Yang, a 2020 Democratic presidential candidate, may not be the biggest name in the race for the 2020 Democratic presidential nomination, but he may have the biggest ideas. 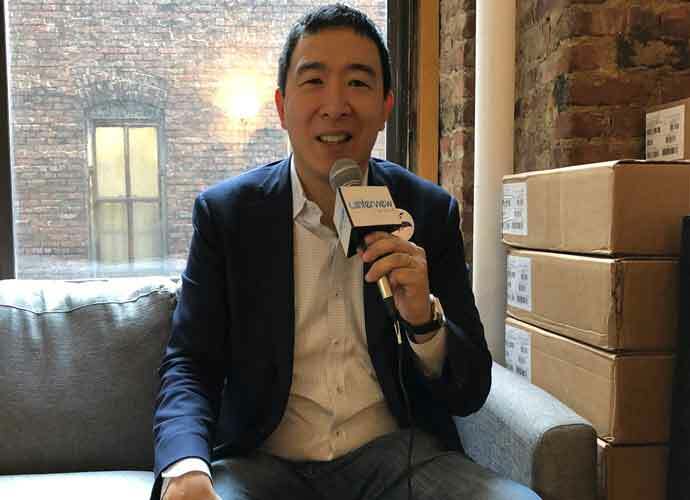 Yang sat down with uPolitics exclusively to discuss this concept and other ideas in his 2020 platform. uPolitics will be rolling out 15 issue-oriented videos with Yang – and every other major hopeful for the Democratic nomination in the next few months – so people can hear directly from the candidates themselves on the most pressing issues facing America and make an informed decision at the polls next year. Yang noted that the dividend has helped create thousands of new jobs in Alaska, reduced income inequality and improved children’s health and nutrition in the highly conservative state. Yang has also said he is concerned about the long-term effects automation can have on the U.S. economy, specifically on employment in industries like retail, accounting and radiology. He will address that issue in a future video. You can follow Andrew Yang on Twitter and Facebook to learn even more about his positions.